Aphria Inc. (APHA.TO) swung to a loss in its latest quarter in spite of exponential top line growth. The Leamington, Ont.-based cannabis producer's net revenue surged 617 per cent year-over-year to $73.6 million in its fiscal third quarter. Meanwhile, it reported a net loss of $108.2 million in the quarter, compared to a profit of $12.9 million in the fiscal third quarter of 2018. Its bottom line was dragged down by a $50-million non-cash impairment on its Latin American assets. Excluding charges, Aphria's adjusted quarterly loss was $0.20 per share. Aprhia’s interim chief executive officer defended the company’s Latin American strategy in an interview with BNN Bloomberg on Monday. “I think the most important thing is what we ultimately grow it into is not what the valuations are, or what’s on the books,” Irwin Simon said, referring to Aphria’s Latin American assets. Analysts, on average, expected Aphria to report a loss of $0.05 per share on $83.5 million in revenue. Aphria was one of the biggest losers among an industry-wide dip in cannabis stocks Monday, closing 14.24 per cent lower at $11.50. The company sold 2,637 kilograms of cannabis in the three-month period ending Feb. 28, compared to 3,409 kilograms in the previous quarter. Aphria blamed the decline on “temporary packaging and distribution challenges,” as well as supply shortages due to new growing techniques. Simon also said that the company’s plans for an additional 800,000 square feet of production space at its Aphria One facility, approved by Health Canada in March, were behind the drop in shipments. 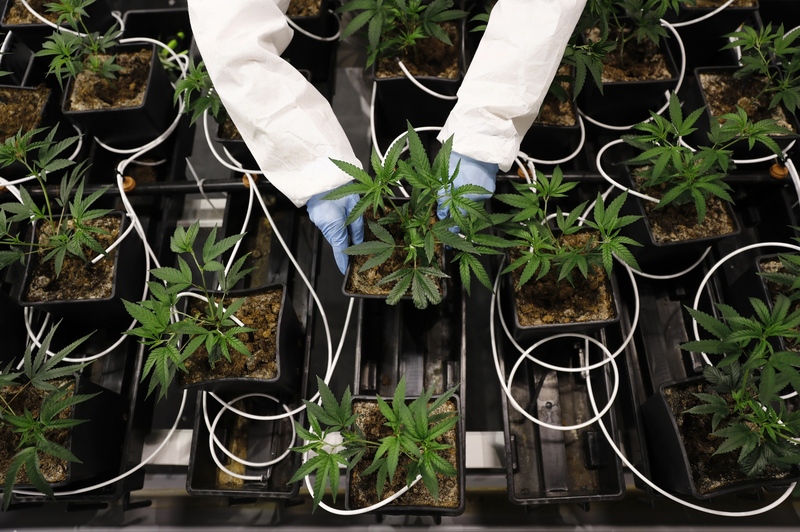 “We purposely pulled back on our plants and made space for our new plants, and that was what caused some of the reductions in regards to shipments of cannabis,” Simon told BNN Bloomberg. Aphria also announced it will appoint former Whole Foods Market Inc. Co-CEO Walter Robb and David Hopkinson, global head of partnerships for the Real Madrid football club, to its board of directors. In a separate release, Aphria disclosed Green Growth Brands Inc. has agreed to move up the expiration date of its hostile takeover offer for Aphria to April 25 from May 9. "We are bringing our offer to an end on good terms with Aphria and are excited to turn our focus to our CBD personal care and retail cannabis businesses,” said Green Growth CEO Peter Horvath in a release. “We are actively continuing to review other partnerships and M&A opportunities to accelerate the build out of our company."